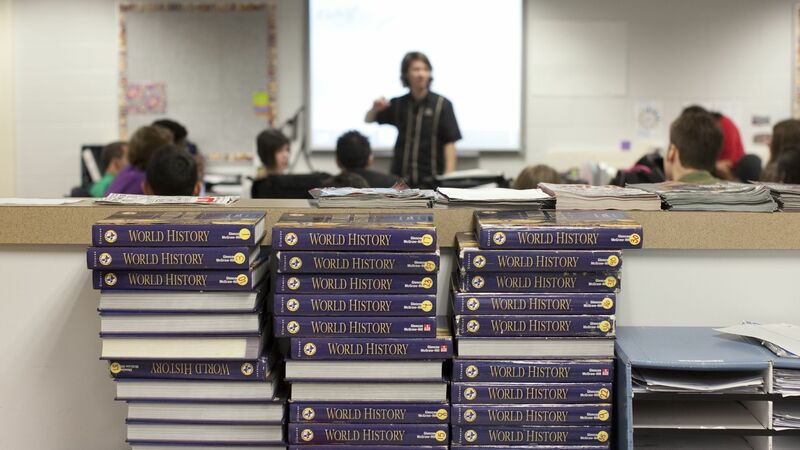 The Texas State Board of Education has preliminarily approved to remove figures like Hilary Clinton and Helen Keller from mandatory school curriculums, the Dallas Morning News reports. The big picture: The work groups that made the recommendation believe students are being required to learn too many historical dates and names "instead of real learning," per DMN. The current Texas curriculum requires third-graders to learn around 36 historical figures, fourth-graders learn around 69, and eighth-graders have to learn about 50. How it happened: The work group graded historical figures by a rubric, ranking who was "essential" to learn. The items deleted from the curriculum can still be talked about and taught in the classroom, but they are no longer required. The questions the group had to answer, per DMN, included: "Did the person trigger a watershed change"; "Will their impact stand the test of time"; "Was the person from an underrepresented group?" The group also voted on other phrases, events and figures to either have deleted or reinserted into the required state curriculum. What's next: The matter can still be overturned as a final vote takes place in November.